A bride commissioned a White Owl last week and this is the result! The fit is extremely comfortable and the mask comes with a removable feather clip. Available now on our website. Also new this week: Child Masks! 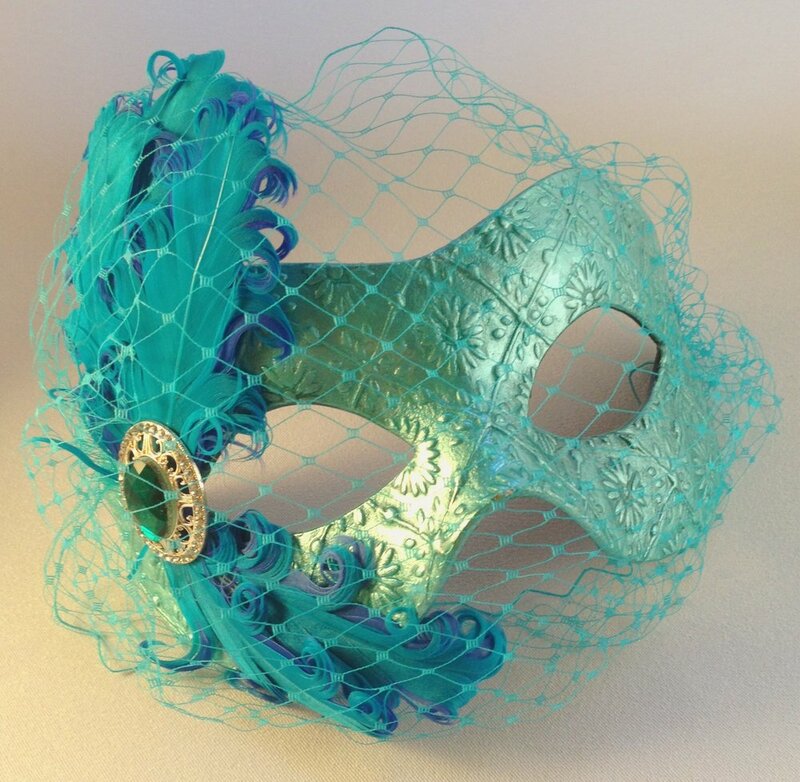 A steampunk version of our exposed mask, new Jester and Birdcage Veil colors. Enjoy!